← Alan Thomas: Colloquium University of Missouri-St Louis May 1, Clark 305, 3:45 p.m. This paper considers whether the analogy between two “cooperative ventures for mutual advantage” – a market economy and the knowledge system – offers any explanatory insights for social epistemology. 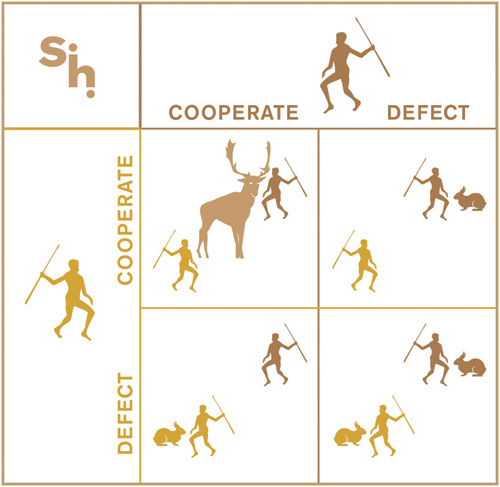 It is argued that it does in two ways: analysing the mechanisms of social cooperation and the kinds of goods produced suggests that the knowledge system is correctly modelled as a mutual assurance game. It primarily exhibits economies of scale and produces a “steep” public good, namely, knowledge. This, in turn, has the consequence that the concept that this social practice embeds – knowledge – ought to receive a genealogical explanation. It is argued that this form of explanation is compatible with the concept having no interesting analysis.